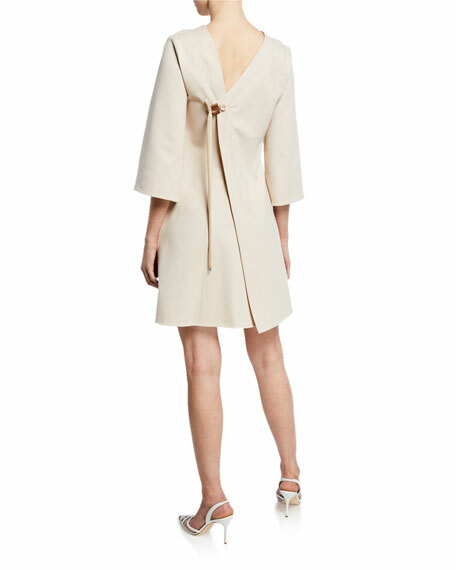 Tibi wrap dress in bonded stretch knit. V neckline; single button closure with ties. Tibi is a young women's designer clothing and accessories brand founded in 1997 by Amy Smilovic. Each season, Tibi addresses the current fashion needs of women in their day-to-day lives, offering collections that are luxurious, modern, and refined-always understandable and approachable. For in-store inquiries, use sku #2788896.